Congratulations! Your baby is on the way. Now, it's time to get all the clothes, diapers, baby bottles, etc. ready. That's where Amazon Baby Registry comes in handy. Who doesn't want freebies especially when you don't know yet what looks good on your baby? I am all in for FREE items especially when the cost of raising a baby on the first year is $12,000. If you buy these, it would cost you over $500 (based on what I got for my newborn plus coupons). In this post, I will tell you the exact reasons that you need an Amazon Baby Registry and the steps you need to follow to get it. Baby Cost 101: The average monthly cost for baby clothes is $60/mo for the first year. That's $720/mo just for clothes and not including other baby necessities. How to Get Netflix for Free – Legitimate Tips! If you are expecting a little joy of bundle, be sure to create a FREE Amazon Baby Registry. Finding the right gifts is easy because Amazon registry search is right in the baby registry. It's so convenient that you don't need to go elsewhere. As you can see on the image above, I received baby wipes, shirt, swaddle, lotion, detergent, diapers, baby food samples, and so much more. Be sure to sign up here to get all of these goodies. 1. Get a FREE welcome box (valued at over $500). Qualifying customers can receive a welcome box for FREE with items for expecting parents and their baby, which is valued up to $35. If you count the coupons included in the box and other Amazon perks, the value of the box can go up to at least $500 (based on the box I received). Yes, you'll get an Amazon Baby Registry welcome box just for signing up. Use this link to create your Amazon Baby Registry for free. 2. Get a completion discount (15% discount for baby items). The perks of having an Amazon gift registry doesn't stop with you getting a FREE welcome box. Once your registry is set up and saved all the things you might want to buy, you will also get a one-time 10% discount (non-Prime members) and 15% (Prime members). Share your registry to your family and friends. You will get that 10% or 15% discount on things they haven't bought from the list. If you aren't a Prime member yet, now is the best time to be one. Not only will you receive the additional 5% discount (i.e. non-prime only gets 10% while prime members get 15% discount) but you will also get 2-day FREE shipping, subscription to Amazon Video, and other Amazon offers. Having both the registry and prime is like the perfect solution to get more savings on baby stuff. 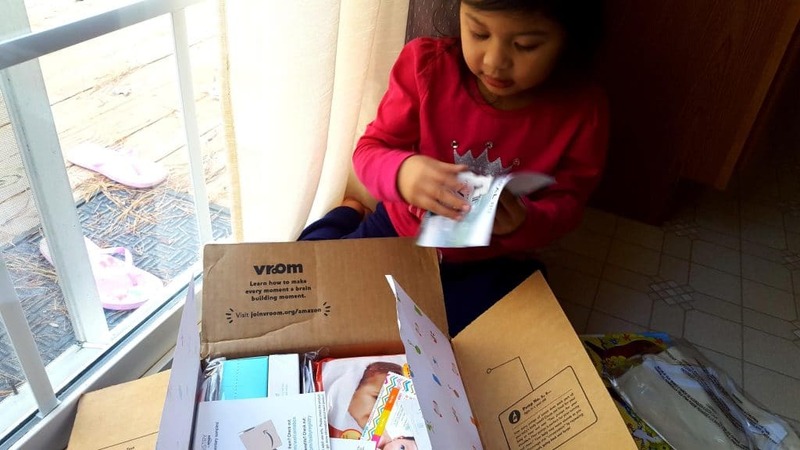 Here's my daughter opening the box and looking through the freebies. 3. Save at least $800 (Easy money we pocketed). By getting so many free samples, my wife and I were able to test all of those samples. We were able to pick and choose the ones that our baby needs. Frankly speaking, we meant to buy a lot of the things we received through the Amazon Baby Registry's Welcome Box. We're glad we didn't because we identified the products that are good and not. If I were to calculate the costs we saved from not buying the things we thought we needed to buy, I would put the amount to at least $800. So, for would-be parents who don't know what they exactly need for their babies, get this Welcome Box right away. So, if you have a list of orders or list of things you want to order but aren't sure if you need all of them, try the registry. 4. Get a 90-Day Returns (This policy beats the competition). Say what? Yes, you read it right. You or your gift givers can return the items to Amazon within 90 days for FREE. That return policy can't be beaten. You'll buy baby stuff you end up not liking, the size is bigger, or something else. If this happens and it will happen, you don't have worry because you can easily return the products back to Amazon. You have a lot of things to worry about with getting things ready before the baby comes. Returning unwanted products should be the least of your worries. 5. Get the benefits of limited time offers. As a Prime member, you are eligible for additional rotating limited time offers delivered through the Exclusive Offers area of the Amazon Baby Gift registry. Just think about this, when you use your completion discount and the limited time offers, you are talking about big discounts. We've done this once (since the completion discount is only to be used once) and we saved over $125 in one transaction. If you aren't sure about subscribing to Amazon Prime, just remember how much you will save now and in the long run with Prime considering all the Prime benefits. Plus, you can start the Amazon Prime for a 30-day trial and still get all the benefits Prime has to offer. Learn more about Amazon Prime here. Note: We recently just received a FREE printed book courtesy of Amazon Family. We also got a 15% discount, which we haven't used, on Amazon prints. 6. Get another FREE product on top of the Welcome Box. The benefits of having an Amazon registry doesn't end. , you will also get to pick another product you can have for FREE. There are baby bottles, baby toys, and others you can choose from. We picked the animal face hooded towel as it's the one we haven't bought so far (see image below). We were glad we didn't need to buy one. Cha ching. This one saved us money. Thanks to Amazon Baby Registry, which I call the universal registry. It's best if you get the Welcome Box and the free product since they will help you eliminate some of the costs associated with buying products. Here's an image of the Welcome Box and the FREE hooded towel we got from Amazon. 7. Get the largest selection of baby products. Did I say Amazon has the largest selection of baby products? Yes, is the answer. That's the reason that we stop from going from one store to another and stick with Amazon. It just makes our lives easier. From diapers to onesies and all the weird baby stuff we need, everything is on Amazon. So, why would you need to go to other stores when you can find everything on Amazon at great prices (even without using coupons)? Not to mention the other perks I stated above. Once you try the registry, you'll find your prime cart or shopping cart is filled with everything you need for your baby. 8. Make it easy for your friends and family to order their gifts for your baby. To find baby registry can be difficult at times. Because Amazon is so giant that almost all people have access to it and use it from time to time, chances that your friends are Prime members is really high. With Amazon Gift Registry, they can easily order from your list and ship the products to your house without any hassle. You don't need to give them your address since Amazon already has it. You only need to give them your name or email. The best part is nobody will see your address. If for some reason your distant friend wants to give your baby a gift but doesn't know your address, he/she can easily buy from Amazon using your registry and send it to your address without him/her knowing what that address is. Amazon will do everything on the background. 9. Get $100 credit toward diapers and wipes. When you've shared your Amazon baby registry – the universal registry – to your loved ones and your registry's total shipped purchase is above $1,000 (which could be a combination of you and your loved ones' purchase through the registry), then, you will receive a $100 credit towards diapers and wipes. 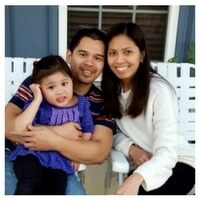 This $1,000 is so easy to reach especially when you are talking about cribs, strollers, baby clothes, and others. For parents who want to stretch their money, this $100 means a lot. It may not be a lot but for those who want to save money even a couple of dollars is a big deal. You can only get this $100 credit if you have a baby registry and the total shipped purchase is over $1,000. 10. Get everything registered to Amazon Gift Registry. Got any products on other registries and want to transfer those to Amazon Gift Registry? It is possible with the help of Amazon Assistant. Yes, Amazon Gift Registry will help you add your products from any website to your Baby Registry with ease. So whether you have Babies R Us baby registry, Target baby registry, or something else, you'll be able to transfer those to your Amazon registry. 12. Use the easy return policy. Returns of baby items are so easy. 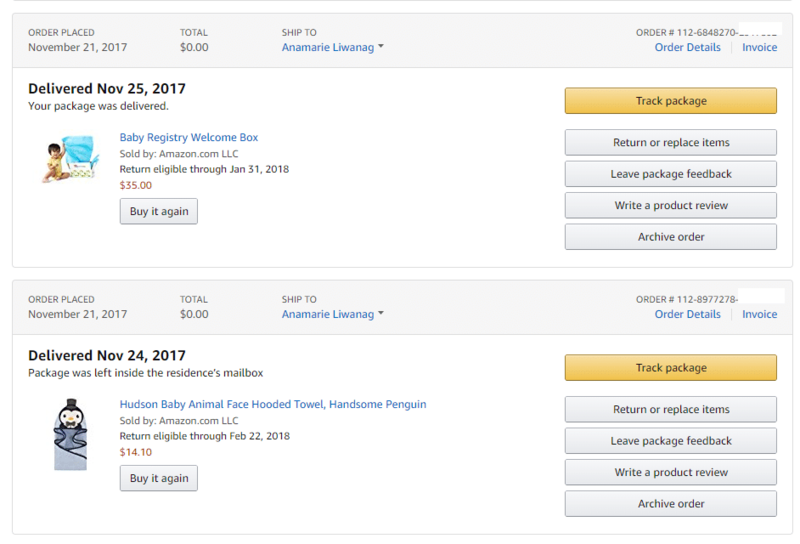 For parents who'd buy things left and right on the Amazon baby gift registry for their baby to realize they don't want them or they don't fit their little bundle of joy, it's really convenient to return these items easily. If you're returning items to Amazon, just make you use its online return center and follow the directions so you can get an Amazon gift card. You can use this gift card for any products you want to buy on Amazon. Amazon Gift Registry is such a blessing in disguise. We've saved over $1,000 using it. Find baby registry or other registries and you'll realize that Amazon is the best. There are other baby registries out there like Target baby registry, but I believe Amazon Baby Registry is the best baby registry out there. It sure has the baby must-haves for first-time moms and dads. It's one of the best things that Amazon has to offer especially for parents who want to get everything for their little bundle of joy without too much hassle. I know many parents will agree when I say the least we can do with getting the products we need for our babies are have a registry and getting all the products without any hassle. 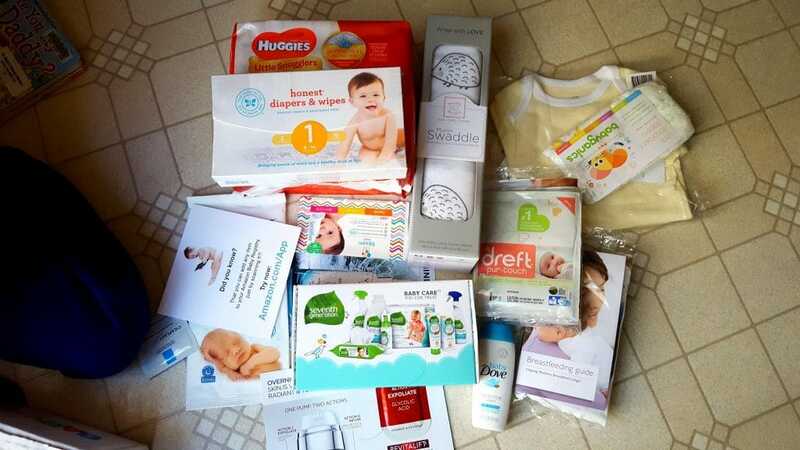 Plus, it's always nice to get this free Amazon baby registry welcome box. Every single free item helps especially when you talk about the cost of pregnancy, bringing up the child into the world, etc. Are you ready to use the Amazon Gift Registry? Click here now to start getting all the perks with having this registry. Some offers may not be available soon. So, it's best to open a registry now when all of the benefits are still in place.